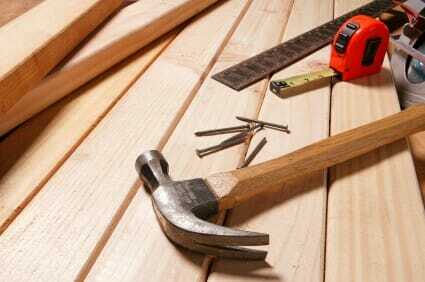 is one of our services offered by Mississauga handyman, there are many different things a carpenter can do. Some carpenters are general carpenters and don’t specialize in any particular type of work and then there are special dedicated workers who only work on certain aspects of carpentry. Sometimes a carpenter is needed to do some alterations on there kitchen door cabinets which this customer needed, he bought a fridge which was too tall for his opening and we had to raise the opening height to accommodate the taller fridge. There are rough carpenters who basically handles such things as framing houses or assembling construction hoarding and building shoring out of basic woods and plywood’s. There is a certain degree of accuracy but not critical and the finished product doesn’t have to be aesthetically pleasing just functional. Then there are finish carpenters who built and assemble wood trim for houses such as window casings and door casings and hanging doors and making sure that they are swinging properly and closing properly. Accurate measuring and cutting the wood precisely is one of the traits of a professional trim carpenter. Installing doors from scratch or replacing existing doors with new ones all requires a certain amount of expertise and skill ensuring that the door works properly and closes and opens smoothly and easily. Upgrading your baseboards and windows and door casings is another job for carpenters. When installing this trim work on to your walls and joining the ends together require accurate cutting and alignment of the wood making it paint ready. You don’t want to have large connection joints between the between the wood have the wood sticking away from the wall. Being able to fit and adjust the wood trim to the adjacent surface is one of the skills of Carpenters. Carpenters also are able to relocate walls to make more room in your house or to make an extra room or closet. You might need a deck repair or build a deck. Sometimes deck repairs are very simple and superficial only needing a new floor but sometimes you might need to reinforce and repair the actual deck structure that supports the deck. Sometimes the only thing that’s left are the cement piers that the deck was on. Deck railings and steps are another common problem. That railings tend to get loose and need to be re-tightened and secured. Same as for the steps leading to the ground. Both of these items tend to loosen from continuous use. Damaged door which needs repair or replacement. 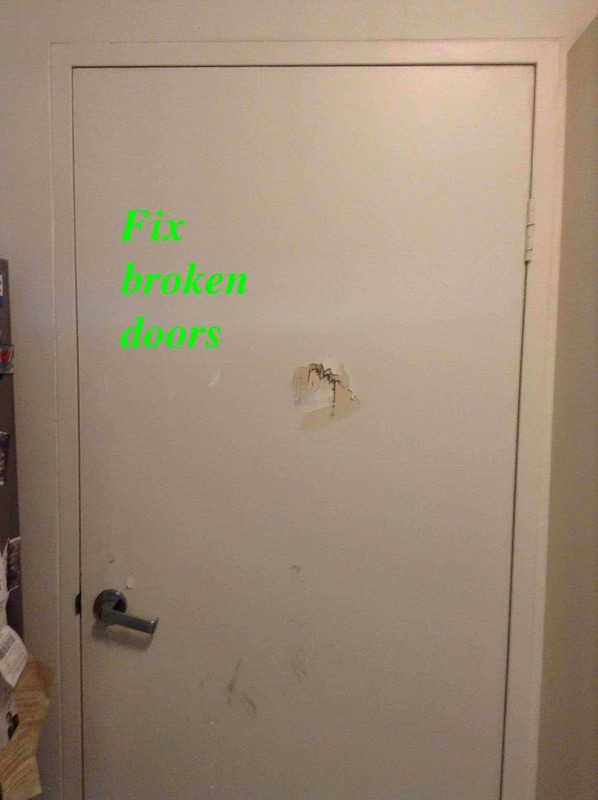 Fix or replace broken doors.